This symposium has been organised alongside the Foundling Museum exhibition, Basic Instincts (29 September 2017 – 7 January 2018). Curated by Dr Jacqueline Riding, Historical Consultant, Author and Honorary Research Fellow in the School of Arts at Birkbeck, University of London, Basic Instincts explores Georgian attitudes to love, desire and female respectability through the radical paintings of Joseph Highmore. The symposium will draw out some of the key themes of the exhibition, focusing on the depiction of women and sexuality in eighteenth-century culture. The confirmed speakers are: Emma Barker, Joanne Begiato (published as Bailey), Karen Lipsedge, Mary Peace, Kate Retford, Jacqueline Riding and Kirsten Tambling. Delegates will also be taken on a tour of the exhibition at the Foundling Museum. For further details, and to book a place, please follow this link: http://foundlingmuseum.org.uk/events/basic-instincts-symposium/. Tickets are £40, £30 concessions & Foundling Friends. Please find below details of another event organised by the Birkbeck Eighteenth-Century Research Group. 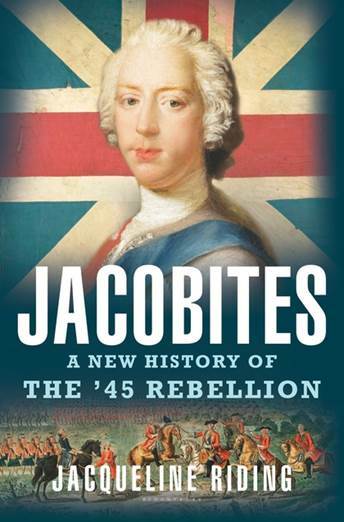 On Thursday 23rd June, 7-9pm, Dr. Jacqueline Riding will be talking about her new book, Jacobites: A New History of the ’45 Rebellion, recently published by Bloomsbury. Dr. Riding is an alumna of the History of Art department at Birkbeck, and an Associate Research Fellow in the School of Arts. She will be joined in conversation by Dr. Sarah Fraser, whose biography of Simon Fraser, Lord Lovat, won the Saltire First Book Prize in 2012. Dr Jacqueline Riding, BA in History (Leicester), MA in History of Art (Birkbeck), PhD (York). Her thesis subject was the British painter Joseph Highmore (1692-1780). Former curator at the Theatre Museum, Guards Museum and Palace of Westminster, and founding Director of the Handel House Museum, since 2005 she has worked as a consultant for Museum/Galleries and Historic Buildings, including Tate Britain, Historic Royal Palaces, Wilton’s Music Hall and Turner’s House Trust, and for feature films, including Mr. Turner (Mike Leigh, 2014), Colette (Wash Westmorland, pre-production) and Peterloo (Mike Leigh, 2018). She publishes and lectures widely on early-Georgian art and history. Her current projects are the imagery of Charles Edward Stuart, and London’s Foundling Hospital. Her book Jacobites: A New History of the ’45 Rebellion has just been published by Bloomsbury (2016). Dr Sarah Fraser, BA in English (Bristol), PhD (Edinburgh). Her thesis subject was obscene Gaelic poetry by the foremost Jacobite poet, Alexander Macdonald (Alasdair MacMhaighstir Alasdair). Her first book, a biography of Simon Fraser, Lord Lovat (c.1667-1747) entitled The Last Highlander: Scotland’s most notorious clan chief, rebel and double agent (HarperCollins 2012) won the Saltire First Book Prize in 2012. In April 2016, The Last Highlander shot to No.12 in the New York Times ebook Bestseller List, due to the appearance of Lord Lovat in Season 2 of the Starz hit series Outlander. She has appeared on Radio and TV, including Highland Clans (BBC, 2013). Her second book, a biography of Henry Stuart, Prince of Wales (1594-1612), will be published by HarperCollins at the end of this year.